I'm however confused about the self-similarity you declared, stating an operation can in itself be a complete new ioda structure itself. This seems contradictory to me. 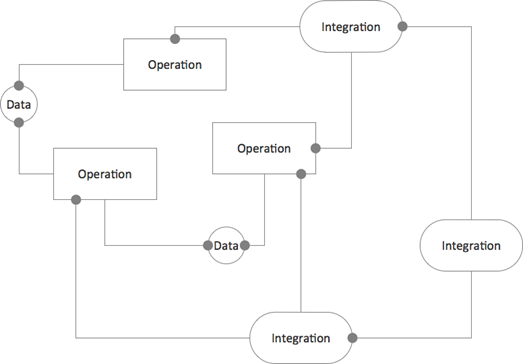 So in your view, how can an operation contain sub-integrations and sub-operations without violating the constraints of what an operation is? Currently I'm working in a procedural environment. 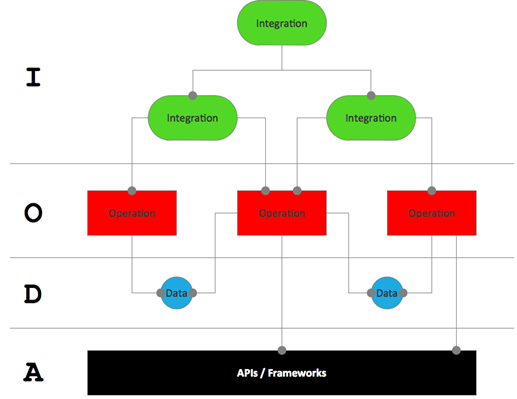 But I have a strong feeling that the ioda architecture could as well be applied in such an environment as it would in an oop environment. Where one could consider the development env as orthogonal to ioda. It even reminds me somewhat of the 'structured programming' techniques from the nineties; specially the decomposition aspect of ioda. What is your view on this? 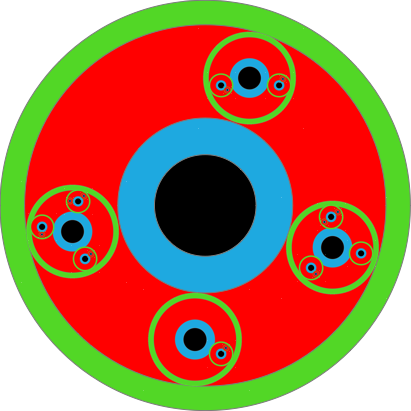 I'm working on an example. * Functional decomposition does not limit what can be done on each level of decomposition, but IODA does. 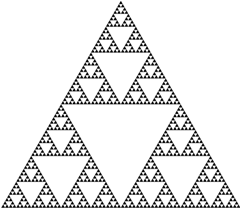 There must not be any logic in an integration (a non-lead node of the decomposition tree). * Functional decomposition does not care about data. Data is assumed to be global. But IODA cares about data. It flows. And if not it's contained in functional units (i.e. it's pretty local). As for self-similarity: You have to view a design on different levels of abstraction. Like a map. A 1:1000000 map shows some atomic details like a forest areas; it's just a green patch without any structure. But on a 1:25000 the forest has details, has structure, is not atomic anymore. The point is: If you decide to refine an operation then you need to apply IODA again. Yeah, I kind of overlooked the abstraction levels when having the self-similarity confusion. Maybe I was applying the 'logic only in operations' all too strictly. I take it the example should help make it all fully clear. I admit it were the images that made me think of structured programming. You are right, I understand they are really not the same. Looking forward to the example :) . Btw what's the best way to be notified when it's ready? The sample is online already. See my latest blog post. To be notified about new articles follow me on twitter: @ralf (de + en) or @ralfen (en only). Very interesting. There is another methodology, Object-Process Methodology, that was also a result of analyzing current architecture, but the result of that was that "Process" was the thing that was incorrectly abandoned by the OO frenzy. I'm wondering how that compares to your identification of "Operation" as a crucial architectural concept. A quick intuitive idea is that Process are themselves composed of Operations. That to me seems more semantically viable. Operation is more specific than OPM's process. Because it not only processes input, but does that in a certain way: by just employing logic. I don't see that kind of constraint in OPM. So, yes, maybe you could say, process is a term encompassing operation as well as integration. I like the "dependency-free" thinking that drives IODA, but I'm stuck working through how I would manage complex types (like orders in an enterprise domain). 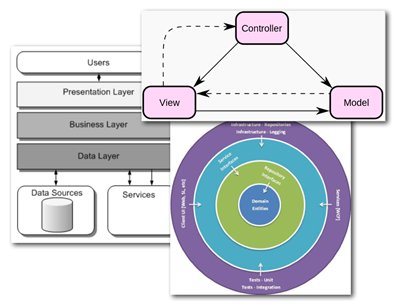 There are types that represent data, types exposed/used by operations, and (possibly) types created by integrations. Minimizing types is a natural thing for app designers to do, but it can introduce unwanted dependencies if "big" types are shared across all layers. At the other end of the spectrum, creating a type for every usage duplicates effort and makes evolution of the solution more difficult. I was wondering if you had any thoughts along those lines? 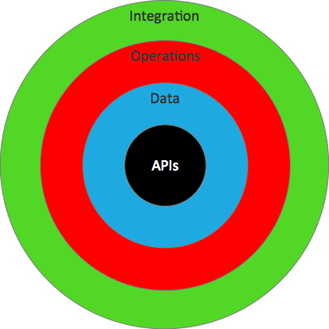 I'm just thinking out loud, but could there be some rationale for categorizing or managing types that are relavent all the way from the API thought the integration head? Maybe that's not feasible or desirable, so the opposite approach might be to avoid sharing types between operations or integrations altogether and instead rely on late (dynamic) binding at runtime. The latter is what I'm leaning toward. Hope this make sense! I presume you mean data structures since your example is an order. IODA is oblivious to how big or small you design your data structures. There can be many or few. IODA only prescribes data structures to be free of dependencies on hardware access and to contain only very focused logic. 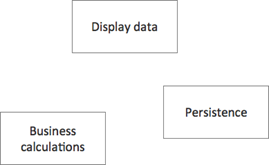 Functions on data structures should focus on enforcing structure and consistency. Data structures are containers which "are" data. In addition there are containers which "have" data. 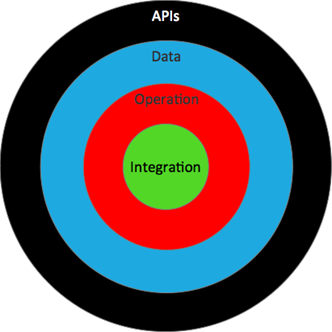 Integrations might create data structures for convenience' sake. But it's operations who are really working with data. So the question is: Which operations should depend on certain data? So when you say "relevant all the way up to the integration root" that's a misunderstanding. 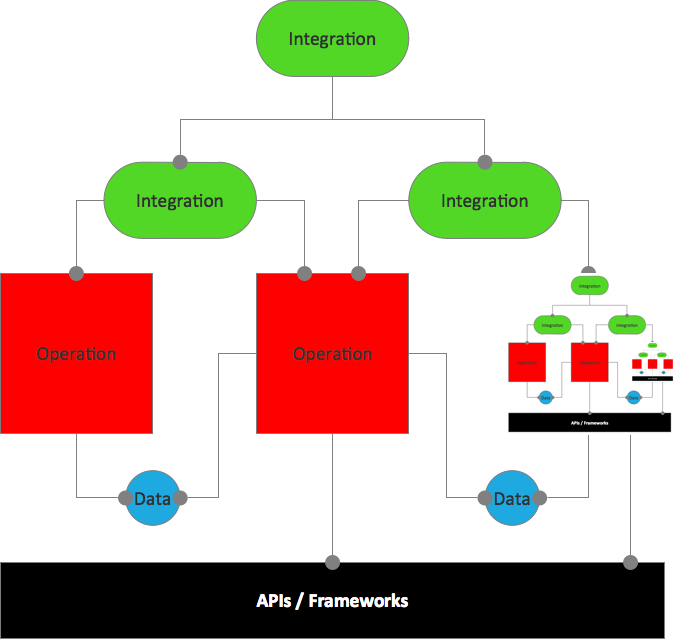 Integrations just wire-up operations. There's not even a hierarchy of integrations necessary. Just one would be required - at least technically to wire-up all operations. 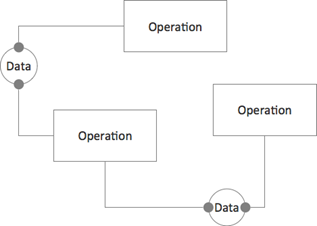 But the question is perfectly valid: If there is an operation reading data from a database and producing some data structure as its result, which other operations should this data structure be shared with? Should a domain logic operation work on it? Should a presentation operation use it, too? It's a matter of coupling. But IODA does not answer this question. I'm sorry. I'm struggling with this question, too. To me this means I still haven't uncovered some "principle" or "rule" or heuristic. So for the moment we need to be conscious about this. And whenever something hurts we need to look closely. Maybe there is a pattern to be uncovered. But in the end some trial and error will remain. That's because problem domains need to be explored. We are doing software development (!). That's basically doing research. And research requires trial and error/experiments and changes course all the time due to newly won insights. That's why Eric Evans coined the phrase "refactoring to deeper insight". You might start out with tight coupling and need to loosen it. Or you might start out with loose coupling and need to tighten it. It's the same with IODA. Just because IODA defines a certain basic structure for software does not mean it's obvious which operations and integrations there should be. It's a matter of the design process to play around with alternatives. And then it's a matter of reviews to evaluate how the implemented alternative is doing.